Most weaverfinches live in grass or bush steppes, savannas, and open dry area forests. A few have penetrated deserts and semi-deserts, particularly in South Africa and central Australia. Others resumed their family's apparent earlier position as true forest dwellers, particularly in western and central Africa, southeastern Asia, and the Indo-Australian insular area. Recently, several species have become closely linked with man and have moved into fields and gardens, some even into city parks. The red-billed firefinch (Lagonosticta senegala) comes into native huts in its search for food. 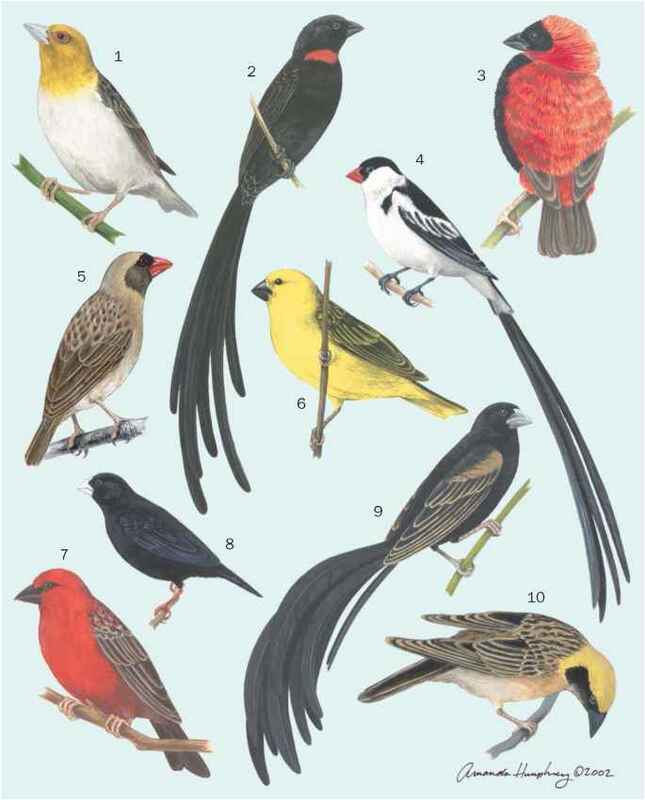 Zebra finches (Taeniopygia guttata) and crimson finches (Neochmia phaeton) breed on and in buildings.